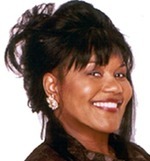 Sign up for Broadjam today to follow debborah ramsey, and be notified when they upload new stuff or update their news! 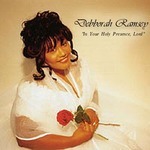 "In Your Holy Presence, Lord" is an insperational and uplifting CD that the whole family can enjoy! It has a little bit of everything for everyone from Contemporay Christian, Gospel, Jazz, Upbeat Insperational to songs with a touch of Carribean Flavor. This Cd is a must have for your collection and is sure to lift your spirit high!